Michel Foucault, Info – Michel Foucault, Info. 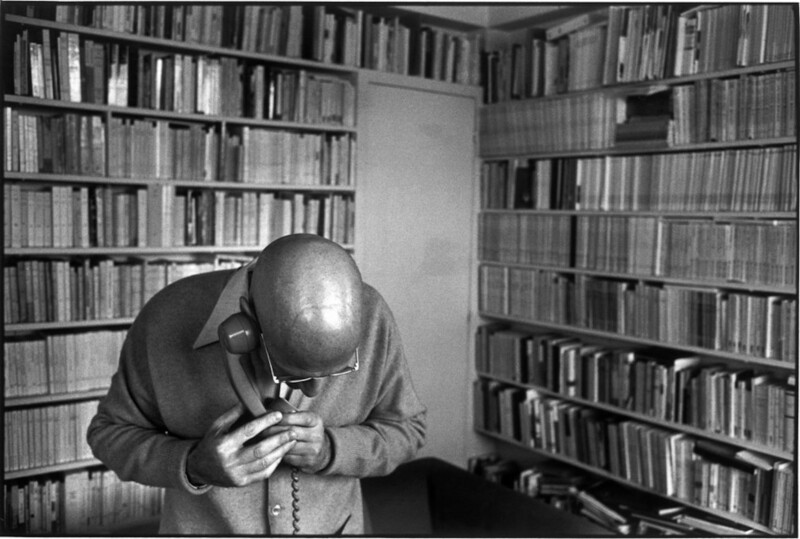 Michel Foucault (1926–1984) is the most cited researcher across all ﬁelds. He was a French philosopher who called his project a Critical History of Thought. Since 1998, Foucault.info has been providing free access to a large selection of Foucault’s texts, including the full transcript of the then unpublished seminar Discourse and Truth. Chronological Bibliography of the works of Michel Foucault edited by Machiel Karskens, Nijmegen&colon; Radboud University Nijmegen; 2018. Foucault, Michel. “Of Other Spaces, Heterotopias.” Translated from Architecture, Mouvement, Continuité no. 5 (1984)&colon; 46-49. Foucault, Michel “The Author Function.” Excerpt from “What is an Author?” Translation D.F. Bouchard and S. Simon, In Language, Counter-Memory, Practice, 124-127. Cornell University Press, 1977. Foucault, Michel. “FOUCAULT” Translated from Dictionnaire des philosophes, 942-944. Paris, P.U.F., 1984. Foucault, Michel. “The Subject and Power.” In Beyond Structuralism and Hermeneutics, edited by H. Dreyfus and P. Rabinow, 208-226. The University of Chicago Press, 1983. Foucault, Michel. “Self Writing.” Translated from Corps écrit no 5 (Feb. 1983)&colon; 3-23. Foucault, Michel. “What is Enlightenment?” In The Foucault Reader, by P. Rabinow, 32-50. Pantheon Books, 1984. Foucault, Michel. “Madness, the absence of an œuvre.” In History of Madness, edited by J. Khalfa, 541-549. Routledge, 2006. Foucault, Michel. “Introduction.” In Archaeology Of Knowledge, edited by A. M. Sherida Smith, 3-20. Vintage, 1982. Foucault, Michel. “Preface.” In Order of Things, An Archaeology of the Human Sciences. Vintage Books, 1994. Foucault, Michel. “Non-afﬁrmative Painting.” In This is Not a Pipe., Chap. 6. Quantum Books, 2008. Foucault, Michel. “Foreword.” In I, Pierre Rivière, having slaughtered my mother, my sister, and my brother. University of Nebraska Press, 1973. Foucault, Michel. “Panopticism.” In Discipline & Punish&colon; The Birth of the Prison, translated by A. Sheridan, 195-228. Vintage Books, 1995. Foucault, Michel. 3. Morality and Practice of the Self In History of Sexuality Vol. 2&colon; The Use of Pleasure, edited by Robert Hurley. Vintage Books, 1990. Foucault, Michel. “Discourse and Truth&colon; the Problematization of Parrhesia.” 6 lectures at University of California at Berkeley, CA, Oct-Nov. 1983. Foucault, Michel. “Omnes et Singulatim&colon; Towards a Criticism of Political Reason.” In The Tanner Lectures on Human Values, by S. McMurrin, Vol. II, 225-254. Univ. of Utah Press, 1981. Foucault, Michel. “Technologies of the Self.” Lectures at University of Vermont Oct. 1982, in Technologies of the Self, 16-49. Univ. of Massachusets Press, 1988. Foucault, Michel. “The Courage of Truth.” First Lecture 1 February 1984 In Lectures at the Collège de France 1983-1984, translated by G. Burchell, 1-22. Picador, 1984. Foucault, Michel. “I, Pierre Riviere…” Interview by P. Kané in Cahiers du Cinéma no. 271, Nov. 1976, 52-53. Translation from Foucault Live, 203-206. Semiotext[E], 1996. Foucault, Michel. “Truth, Power, Self.” Interview by R. Martin recorded on October 25th, 1982. In Technologies of the Self, edited by L.Martin et al. 9-15. Univ. of Massachusetts Press, 1988. Foucault, Michel. “Polemics, Politics and Problematizations.” Interview by P. Rabinow, May 1984, In Essential Works of Foucault Vol. 1. The New Press, 1998. Foucault, Michel. « Des espaces autres. » Conférence au Cercle d’études architecturales, 14 mars 1967, in Architecture, Mouvement, Continuité, no 5 (1984)&colon; 46-49. Foucault, Michel. Seconde préface pour la réédition d’Histoire de la folie à l’âge classique, 1972. Foucault, Michel. « Je suis un artiﬁcier. » Entretien avec Roger-Pol Droit enregistré en juin 1975. Foucault, Michel. « Naissance de la biopolitique. » In Annuaire du Collège de France, no. 79, année 1978-1979, 367-372. Foucault, Michel. « Qu’est-ce que les Lumières ? » in Dits et Ecrits, tome IV, 1984, 562-578.